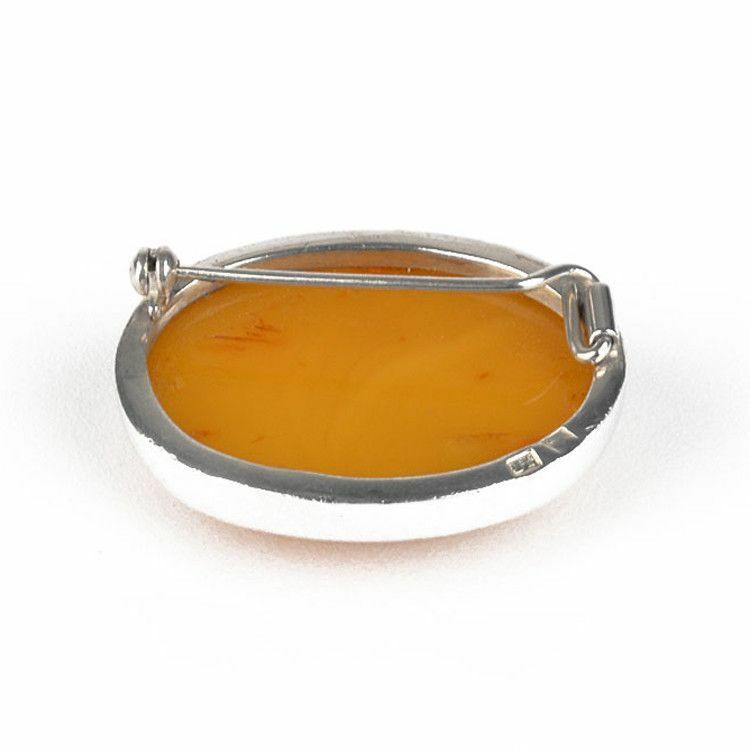 This vintage natural butterscotch amber brooch was made in about 1950, and is an excellent piece of never-go-out-of-style jewelry. 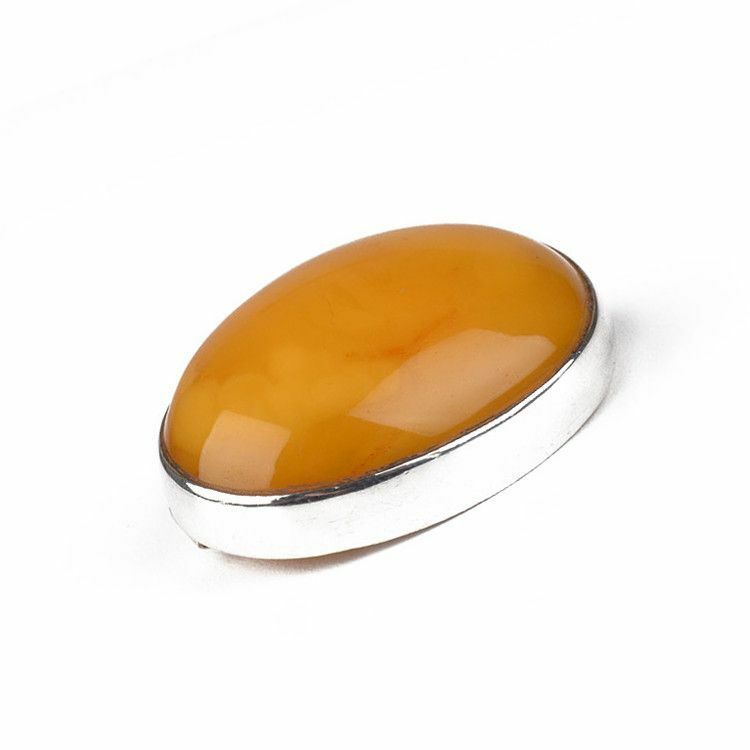 The large genuine Russian Baltic Sea amber cabochon is lightly polished and set in sterling silver. 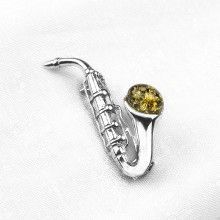 Amber is known by many to be quite the healing stone, so pick out a nice amber pin and wear it on your blouse, on lapel of your jacket, your scarf... anywhere you'd like! 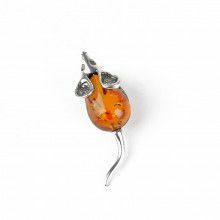 This beautiful brooch is approximately 1 1/2" L x 1" W x 1/2" H.
Measures about 1 1/2" x 1" x 1/2"